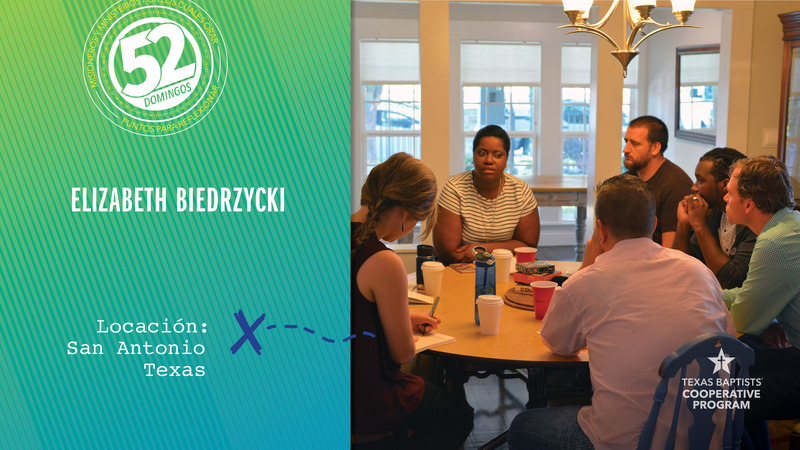 As South Texas Regional Coordinator for Texas Baptists, Elizabeth Biedrzycki works to engage with millennials. She has a passion for emerging generations and leaders and is often on the field, pioneering new work to see generational outreach and transformation. Our church’s gifts through the Cooperative Program support Elizabeth’s work of engaging young leaders. Join me in praying for her work across the state, that she would be able to reach struggling generations and the churches reaching out to them.